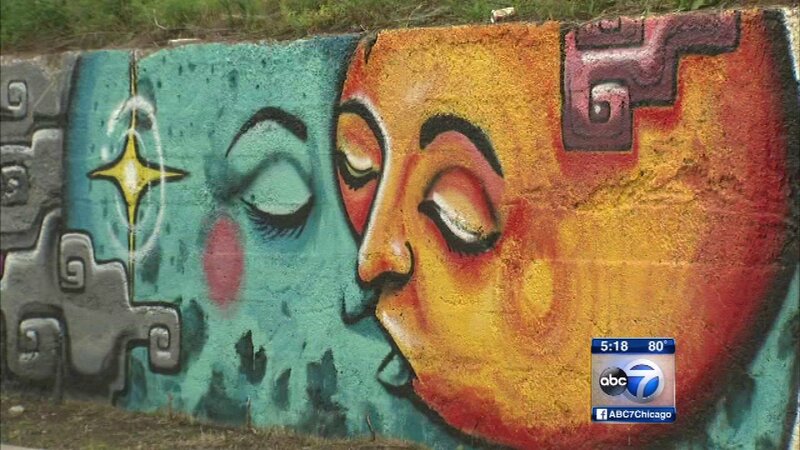 CHICAGO (WLS) -- Murals created to combat gang violence were unveiled Friday in Chicago's Back of the Yards neighborhood. The artistic images were painted by area children as part of an initiative to provide healthy alternatives to gang violence in the 15th Ward. Ald. Raymond Lopez said the murals are a sign of something positive that the community can celebrate. "As we look at the rain, it's caused us some problems today but the rain is symbolic I think for us because it gives us the opportunity to cleanse the image of the community," said Lopez. The murals decorate former railroad property in the 1900-block of West 49th Street.